Our first frost came right on schedule the other day. 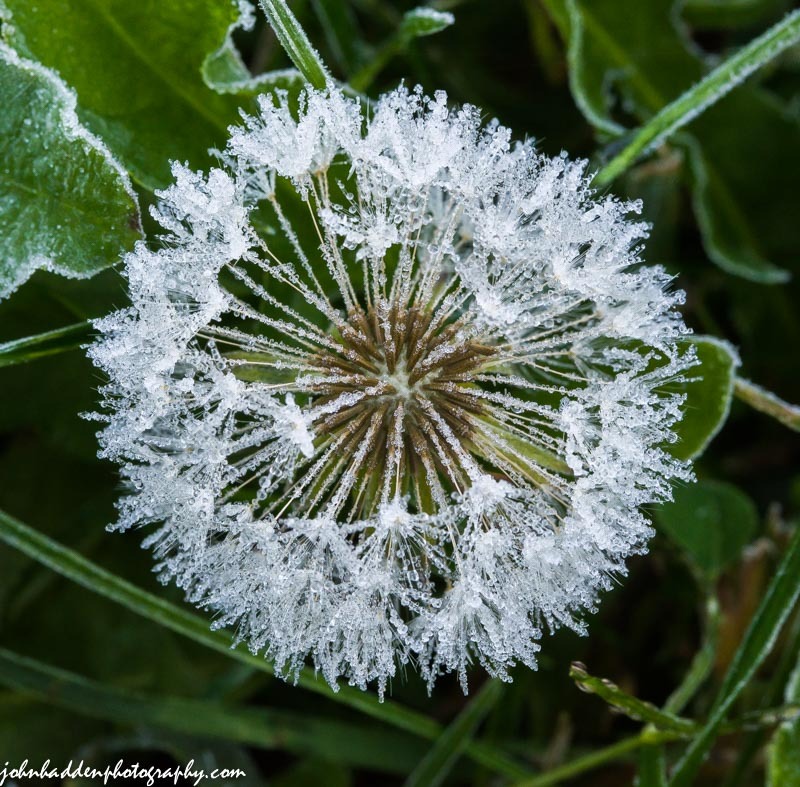 This dandelion head sported a crusting of crystals. Nikon D600, Sigma 105mm macro lens, ISO 1250, f/18, 1/60″ exposure. Nice capture. I know you like the snow but for me it runs chills up my back. brrrr. Thanks Tim! You’re not the only one responding that way!